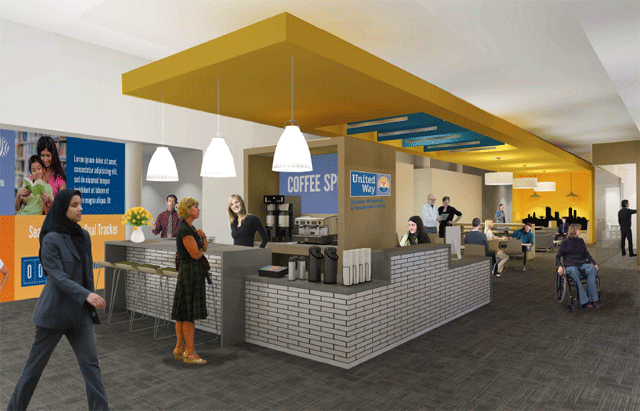 United Way’s new Johnson Controls Volunteer Center will feature conference spaces for large projects, huddle rooms for group meetings, and kiosks to find future opportunities to give back (view renderings). In 2018, United Way will expand the capacity of thousands of volunteers to have a direct impact on the community with the opening of the Johnson Controls Volunteer Center. Thanks to a generous $1 million donation by Johnson Controls and pro bono design and construction administration services by Irgens, the center will open to the public in August. For ongoing updates, follow United Way on Facebook and Twitter. 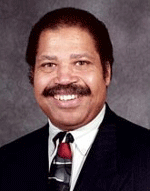 LaRoyce F. Chambers, MD, retired department chief and chair of obstetrics and gynecology for Aurora Health Care, will serve as the co-chair of the Teen Pregnancy Prevention Oversight Committee (TPPOC) led by the United Way of Greater Milwaukee & Waukesha County along with Betsy Brenner. The opioid crisis is taxing southeastern Wisconsin healthcare systems as they respond to the expanded demand for addiction treatment services. One challenge is the lack of substance abuse treatment providers, particularly those who speak Spanish. In response, United Way has made a $75,000 grant to Sixteenth Street Community Health Center’s Waukesha Clinic to fund their work providing behavioral health and alcohol and other drug addiction services. 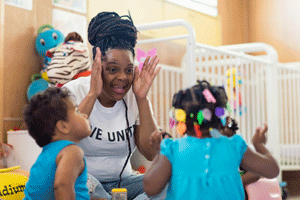 Milwaukee Succeeds, a community-wide initiative that works to ensure a strong education pipeline from cradle to career for all children, has exceeded its goal for the percentage of children enrolled in quality early childcare ahead of schedule! To date, 17.5% of Milwaukee’s young people are enrolled in a YoungStar rated 4- or 5- star program. When the goal was set in 2012, only 8% of children were enrolled in such programs. Purchase your United Way Apparel! Wear your love for United Way on your sleeve... literally! Live United v-neck t-shirts, sweatshirts, scarves, and light jackets are available for purchase through April 18. Nominate Your Community Hero for a Philanthropic 5 Award! Each year United Way's Emerging Leaders award five leaders in their 20s, 30s, or 40s who give, advocate, and volunteer for change throughout Greater Milwaukee & Waukesha County. We will also be accepting nominations for the Philanthropic Youth Award. Volunteers are needed to help with this new event series, which invites families and students into local Milwaukee Community Schools to eat dinner and do homework together. Learn more and sign up to volunteer. Help high school sophomore girls succeed in a job interview. This special mentoring session will take place at the U.S. Bank Galleria in downtown Milwaukee. Help out at this free, morning job seminar for both men and women looking to succeed. Volunteers are needed to help with resume-writing and interview coaching. Learn more and sign up to volunteer. Join LINC and Boys & Girls Clubs of Greater Milwaukee at a unique fundraising event geared toward Milwaukee’s young professionals. LINC will be packing school supplies that will be donated to the youth at the Clubs! Learn more and register. Join United Way and Marine Bank at La Casa de Esperanza for this exciting event. Volunteers are needed to act as budget coaches and to help attendees develop basic financial skills. Coaching materials, a brief training, and dinner will be provided. Help end victim blaming and promote awareness of sexual violence by wearing jeans on April 25. Share your photos using #denimdaymke and purchase a self-care item to be included in care packages for those in treatment. Learn more. Join more than 20 Milwaukee young professional organizations hosting simultaneous happy hour events on Jefferson street to celebrate Young Professionals Week! No registration necessary. Join United Way for an afternoon of activities focused on educating local students and teachers about the importance of healthy living. Volunteers are needed to help lead station activities and buddy up with students. Learn more and sign up. Volunteers are needed to help children at Milwaukee and Waukesha public schools pick out books to build their very own home libraries! Sign up to volunteer in Milwaukee or Waukesha. Don’t miss this popular annual event celebrating women making a difference in our community, featuring Keynote Speaker Anna Maria Chavez. Register today.